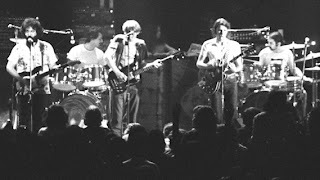 Blasting today in the "rock room" is a Grateful Dead audience recording hailing from the Winterland Arena on May 3, 1969. This recording is easily one of the best audience recordings around, as it was made with stereo microphones at the lip of the stage. While the vocals are a bit distant, the instruments are loud and clear and the performance is exhilarating. Adding to the excitement are the on stage shouts, and off stage screams which lend a "being there" type of vibe to the show. This recording finds the Dead smack dab in the middle of their "primal" era where mind expanding concerts where a nightly occurrence. 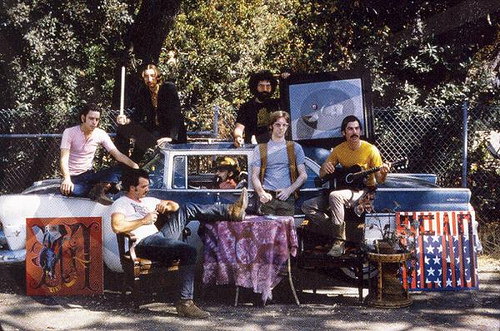 At this point in their history the Dead were a seven piece band as illustrated by Bill Graham's introduction of the group as the "Samuri Seven". May 1969 is a month like many others in the Dead's history filled with legendary performances, and this partial recording should be mentioned in the same breath as the Florida and Oregon shows a few weeks down the line. This is a show where the vibes can be felt through the field recording, as the audible chatter and crowd can attest to. Turn the lights down low, get the headphones on and enjoy! The show opens on a laid back note with a slow and steady eleven minute "He Was a Friend of Mine" full of breathy dynamics, and thoughtful listening by the entire group. Each shining cymbal bell chime, and harmonic pluck of the guitars combines to create a dramatic and attentive reading of the tune. The performance uses actual artful moments of silence to draw out a deeper emotion of the songs reading. Garcia coaxes thick teardrop string bends from his Gibson that ooze a deep country soul gently jumping like fresh popcorn over Lesh's popping dances. The drummers sit back and glide, never racing or dragging, just accentuating the lead instruments with careful percussive accents. This is the Grateful Dead doing their thing, masters of moods and grooves. The highlight of the recording and presumably the entire performance is the twenty plus minute version of the "That's It For the Other One" suite. After a typical 1969 "Cryptical Envelopment" introduction, a short forty second drum interlude introduces the wind sprint through a psychedelic minefield, chocked full of close calls with Lesh's well timed detonations. Lesh's opening explosion actually clips the microphones of the recording gear for a brief second. 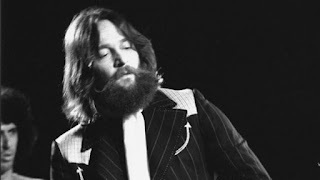 While the first few seconds of the jam lag slightly, once Garcia lays down a few twisted boogie statements and stuttering swing licks over the boiling drummers, the band starts to pick up velocity. Prior to the first verse at about three minutes Garcia and Lesh start to stretch at the fabric of the jam, ripping at it like rabid dogs. Garcia starts to unravel the silver threads as the song falls into the first verse. This is just a diversion because after escaping from the first verse, Garcia lays down a few deranged notes and then begins to ascend higher, with Constanten stepping in each footprint with a display of colorful organ flourishes. Lesh follows suit in a perfect example of the group mind hard at work. Weir, who's guitar comes and goes, keeps the band grounded with his tangled vine strewn chords. Garcia plays with a sneaky muted tone, but soon switches to his "distorted sitar" sound and levitates the jam to astronomical levels. At about five to seven minutes into the "Other One" proper Garcia sprays a "day glo" stream of lysergic notes that inspires Lesh to begin to play in a time and space that is only known to him. The jam gets a bit overwhelming as everyone is peaking out, yet holding it together perfectly. The drummers chase their tails as Lesh rises and falls like a rutted two track mountain road. The group hugs the corners, almost sliding off of dangerous precipices, but keeping control enough to keep improvising more ideas. Garcia has gone multidimensional and is no longer in control, he is just channeling whatever musical muse he has tapped into. T.C., Lesh Weir, and Garcia all reach numerous summits during this west coast "Other One". While never exploding into a many armed all knowing god form, there are numerous psychedelically charged moments of bliss. The band eventually falls back into the "Cryptical" reprise, suspended, as Garcia twists and bends a delicious amber syrup of licks. Weir chimes in with some tasteful filigree's behind Garcia's soulful picking. Picking up momentum, while still taking their time, the band constructs a satisfying musical plateau out of the "Cryptical" conclusion. Taking into account the idea of "the faster we go the rounder we get" the band begins to revolve and rotate into a delightful "Cryptical" climax. Taking off down a downhill slope the band spins until they are dizzy, eventually falling into a cotton filled landing. Just then the tape cuts off the end of the "Other One", and puts us straight into a "Doin That Rag" already in progress. The "Doin That Rag" follows the evenings theme of attentive and tight playing, and this is a solid version with an intoxicating concluding jam. Stabbing jabs of Weirs stringy rhythm guitar work their way into twisted lead lines that weave with Garcia's soling and T.C's carnival organ. A quick little jam and then we are out, but a nice version nonetheless. The crowd must feel the same way as their applause permeates the recording. The boys then start into a nice early version of "Me and My Uncle" notable for T.C's exciting organ work and the chugging groove. It is "Me and My Uncle" so that's about all I have to say. Unfortunately it cuts off at the end, and that is the conclusion of the recording. While somewhat short, this 1969 Grateful Dead recording deserves to be placed along side the best that 69 has to offer. The version of the "Other One" is the centerpiece of the show and is one of finest versions from this era. Just hearing a field recording with this type of clarity is reason enough to hunt this one down. The Grateful Dead would again change, as 1969 moved into 1970 leaving behind some of their songs and attitudes of the primal era, but always building upon the group mind that this era berthed. If you feel as if you've heard all this time period has to offer search this one out, you will not be disappointed.